Summer has come to Wisconsin! Business is booming, our spirits are raised, and the weather is perfect! 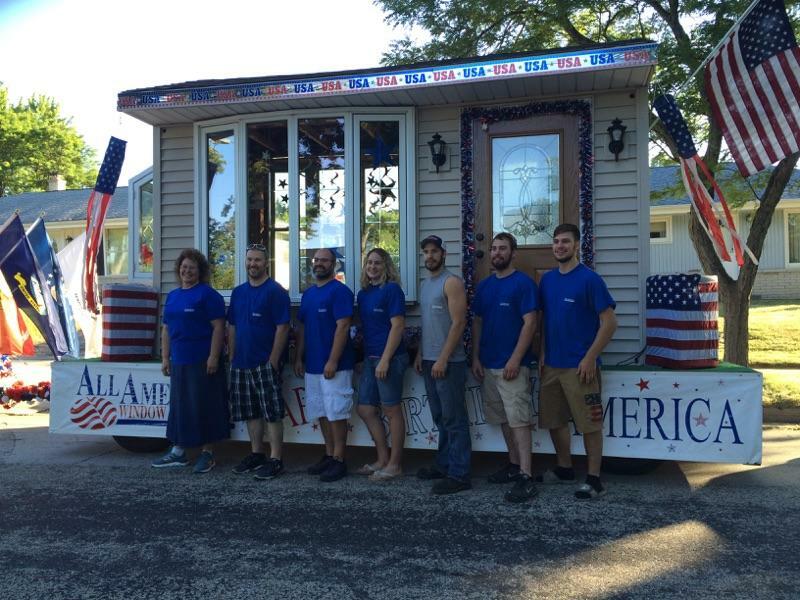 We’re in the middle of parade season here, and we’ve been working hard on our company float, complete with sample windows and doors from our inventory. We’ve been a part of this community tradition for more than 20 of our 31 years, and cannot even guess at the number of tootsie rolls we’ve tossed out into the outstretched hands of excited children (and probably a few adults)! 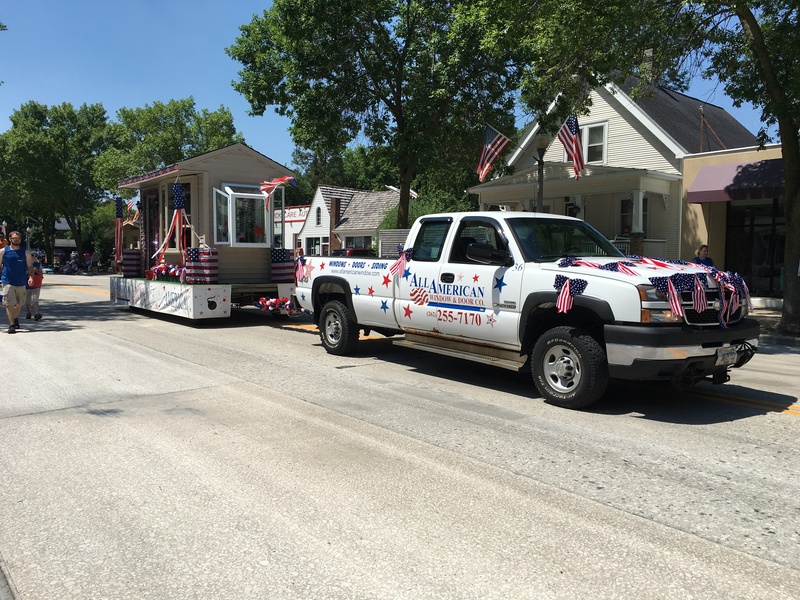 We were in the Mequon parade on Saturday, June 26th, Menomonee Falls on the 3rd, and then Germantown and Wauwatosa on the 4th. Hope you saw us and got your share of Tootsie Rolls!! How and why did AAWD first get into doing these parades? I’ve always loved parades. 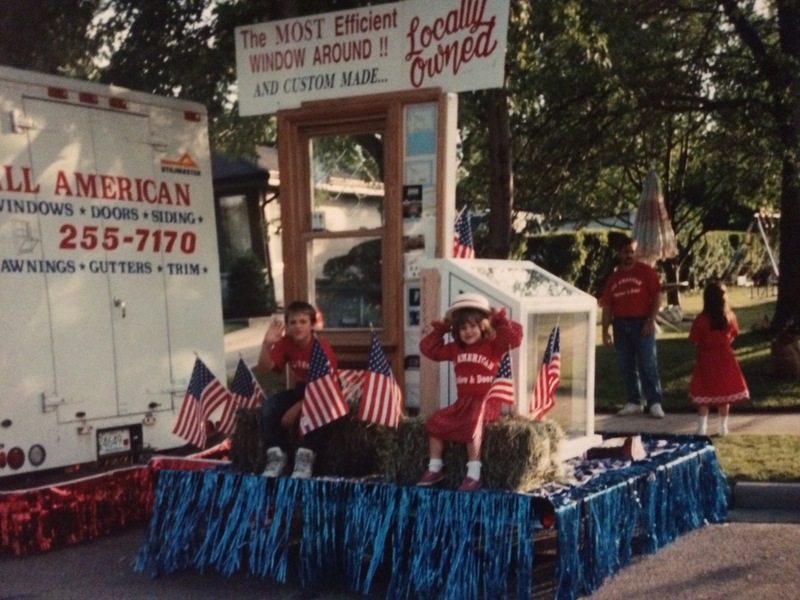 We made our first float in 1991, following my family’s tradition (my father owned a towing company, so we were involved in a lot of parades while growing up). What is your favorite part about them? The smiles from the kids (and adults)! 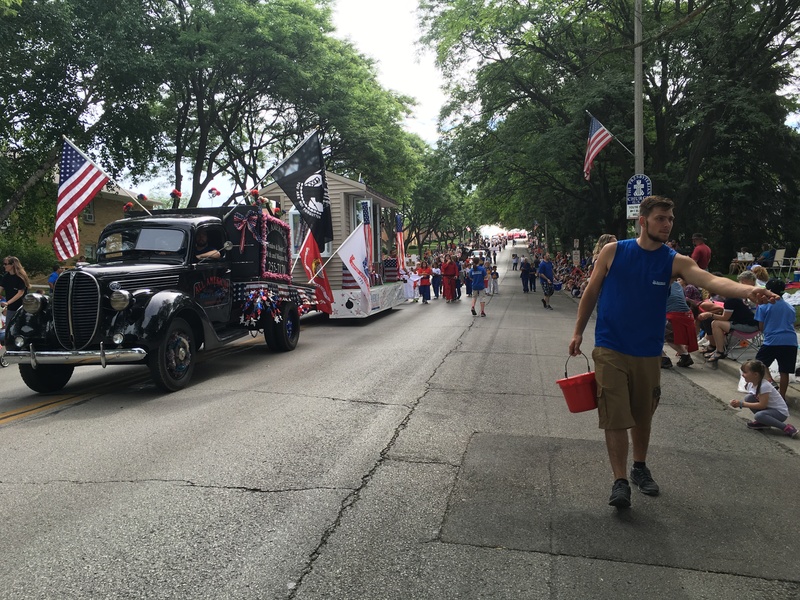 What about the AAWD float? It was originally built in the early 1990s on an old farm hay wagon and has been rebuilt once or twice. We redecorate yearly, with windows and doors along with banners appropriate to each parade’s theme. A lot of work goes into them, but the fun we help create for everyone makes it well worth our time, effort, and cost. We also toss into the crowd about 100,000 tootsie rolls per year. All together, we’ve likely given a few million to parade-goers! Why tootsie rolls? We chose them because they’re one of our family’s favorite candies, they’re small, and everyone knows them. Just as a side-note, our family eats our fill of them at our 4th of July celebration and doesn’t touch them for the rest of the year! Happy 4th from our family to yours! Previous Post We Love Wisconsin Tour is in Pewaukee! 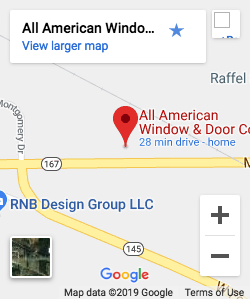 unlightening on All American Window & Door Company’s 29th Anniversary!